Search For "Real Estate" Companies in Lanham, Maryland - Click Here Now! Ace Marketing And Consulting Group, LLC Buys, Sells And Markets Investment Properties. 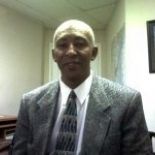 Ace Marketing And Consulting Group, LLC in Lanham is a company that specializes in Real Estate Agents And Managers. Our records show it was established in Maryland.